In the heart of the capital Hanoi, Lenin Park as a destination solemn, close to all. 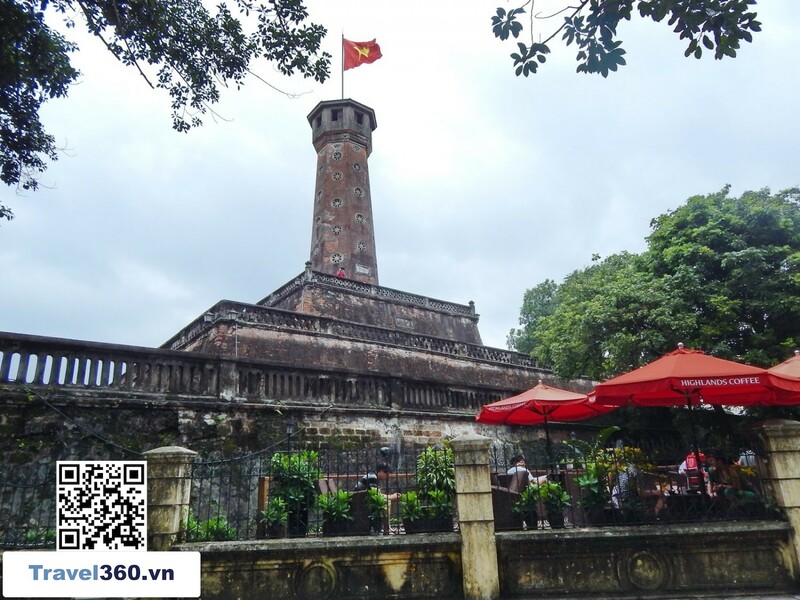 This place attracts many people not only by a favorable location, great green space, but also because this place has marked a great historical period of the nation of Vietnam. Lenin Park is located on three sides of Dien Bien Phu, Tran Phu and Hoang Dieu. Lenin Park is like other green parks in the capital Hanoi but it has its own characteristics that you will not find elsewhere. Lenin Park attracted the main people by the name has long followed the history of the country, the place bearing bold mark on a great time of the country. It can be said, Lenin park is one of the park was built soonest in Hanoi. History records that, around 1894 - 1897, the French colonialists took over and occupied the city of Hanoi, they filled the lake with a flower garden and gave it a very western name, Robin. French colonialists set up here a monument complex with two French soldiers; a gunman pointing at a flag pole, a grenade thrower throwing a grenade. The faces around the pedestal of the monument, they embody the image of the indigenous peoples are the peasants, peasants, workers, trade. The front of the pedestal is a picture of a farmer carrying a plow, leading the buffalo to the field. So the people of our country called the garden "Canh Nong". August Revolution - 1945 successful, Hanoi people destroyed the colonial monument in the garden of Canh Nong but still retains its scenery. In the fall of 1945, the Vietnamese people under the leadership of the Party made the successful August Revolution and the people of Hanoi destroyed the colonial monument in the garden of Canh Nong but kept its landscape. Then, the garden was named Chi Lang - a place associated with a famous victory of Lam Son insurgent against the Ming invaders in 1427. In 1982, the Party and State decided to build Lenin monument in the flower garden Chi Lang. On August 20, 1985, a bronze statue of Lenin was erected on a 2.7 meter high granite pedestal, facing the Dien Bien Phu street - a street named Victory in the resistance. against the French colonial invasion of our people, our army. Since 7-10-2003, Chi Lang flower garden was named Lenin Park. So, The park has gone through many names but the name is associated with the reverence of the nation. So when you come here, you will not only feel here is a place to relax but also feel a long history of our heroic nation. 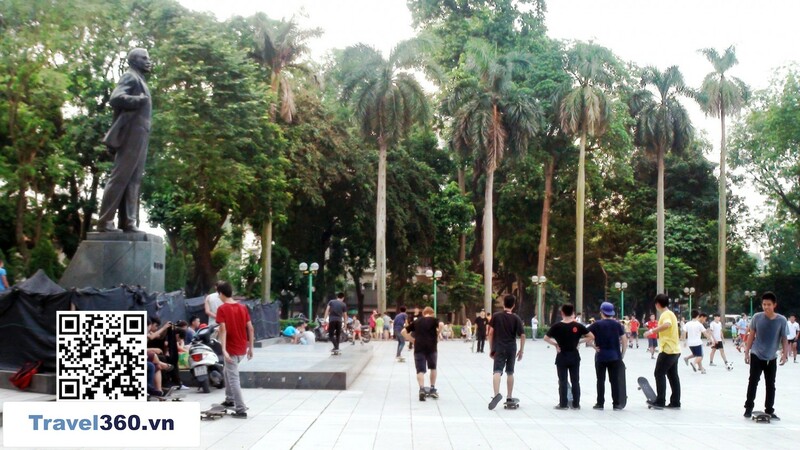 Lenin Park is always a familiar destination for everyone. 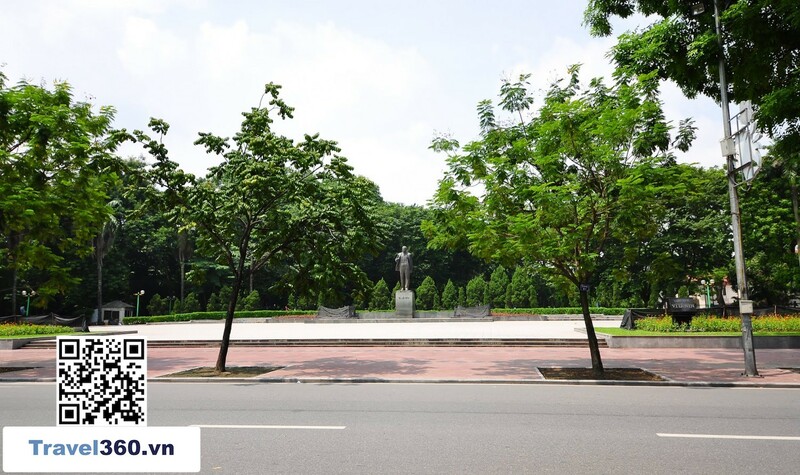 Like other parks are always open to welcome you, Lenin Park has an area of ​​about 17,000m², is a place with mineral space in the heart of Hanoi. The park is full of green trees shading the capital during the hot summer days. This is usually the place where people come to take a walk, relax or exercise. This is also the place or exchange programs for children. Occasionally, you will find pairs of couples together to preserve the most beautiful and romantic wedding photos. Then you will feel the peace of strange. Not only that, this is the best evidence for love, respect for Lenin - the great leader of the world. The bronze statue of Lenin, height 5,2m, was placed on a marble base of 2.7 m high, expressing our deep respect for Lenin, the great leader of the workers' movement, the people. WORKING WORLDWIDE. On the great days of our country, especially on Lenin's birthday and the Russian Revolution October 7-11 at the foot of his monument, there are always brilliant flowers. 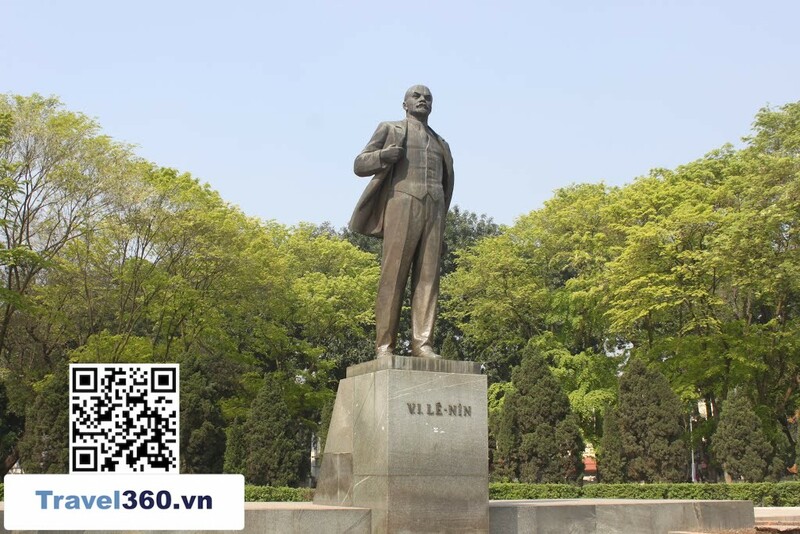 The name Lenin Park has become familiar to the people of Hanoi, the people of Vietnam as the love of respect the outstanding qualities of the great Russian October Revolutionary leader and never faded in our hearts. If you go by bus, you go to the following routes will have stops near this area: 32.34 ... for only 7,000 VND. More specifically, you can use the bus search application to search or visit the website http://timbus.vn/ or google map to search https://www.google.com/maps . 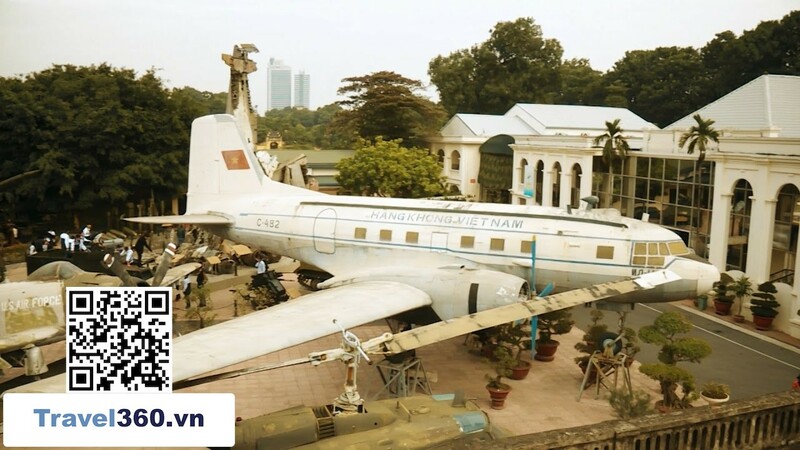 Military history museum of Vietnam photo collectionNear Lenin Park, visit historical monument of Hanoi Flagpole - where marks the heroic feat of the people of the capital nearby. You can also continue your journey at the Museum of Military History of Vietnam to visit, learn about all the military history of the nation. Surely your trip will be more interesting then!